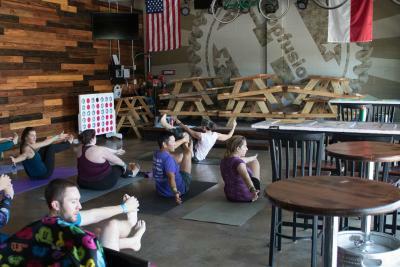 It was only a matter of time before someone saw the possibility of hosting yoga sessions in breweries. The idea has caught on with nearly every local brewery offering classes at least a few times a year. 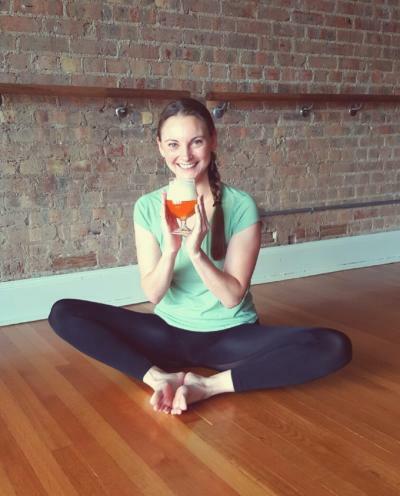 Held every second Saturday, HopFusion&apos;s beer yoga classes are led by Jen Malloy of Urban Yoga. The $20 admission fee includes the class, a custom pint glass, and three pours of either beer, kombucha, tea from Leaves or anything else on the tap wall. I unfolded my rarely used yoga mat and joined around 20 people on a recent morning. But first, I snagged a pint of Buddha Brew Kombucha. A full glass of raspberry-flavored fermented tea helped kick off the light workout. Several folks ordered beers and sipped on them over the following hour. 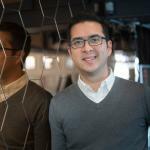 “Whether you’re new to yoga or highly experienced, we’re here to have fun,” Malloy told us. As popular tunes from the ’90s filled the air, we started with light stretches. Being a yoga novice, many of the terms and positions were new to me. I followed the lead of the more experienced folks nearby. Malloy reminded us to be mindful of our breath as she gently led us through poses that were increasingly challenging. Most of the one-legged poses reminded me that I needed to work on my balance. Malloy walked throughout the room, encouraging us and demonstrating the positions at a leisurely clip. I thought the class hit the mark. It had some challenging moments that pushed me mentally and physically, but it always returned to relaxed postures that didn’t overstress me. It was a great way to start the day, and there were positive vibes all around. Martin House Brewing Company hosts Happy Goat Yoga June 23. Goats are happy, and people who hang out with goats tend to be happy too. The $35 session supports Here’s Your Reminder Project, a charity that uses acts of kindness to address depression, and includes one hour of “Happy Vibes” and then an hour of “Play Time” — the former being a yoga class led by yogini Joy and the latter being a time to unwind, have a beer, and take some goat selfies. Martin House regularly hosts yoga events, so follow their event page to keep up. The Collective Brewing Project is home to Taproom Manager and Beer Yogini Carly Taylor, who practices vinyasa yoga in addition to yin and restorative yoga. Taylor was one of the first Fort Worthians to combine her two passions of beer and yoga. You can catch Beer Yoga with Carly June 23 as well. This one-hour flow session takes place at Wild Acre Brewery every first Saturday of the month. Fifteen ($15) dollars buys you the class, two pints and a commemorative pint. Feel even better about your practice knowing that $5 of the entry fee goes to Whole Heart Yoga&apos;s community outreach program at Safe Haven.